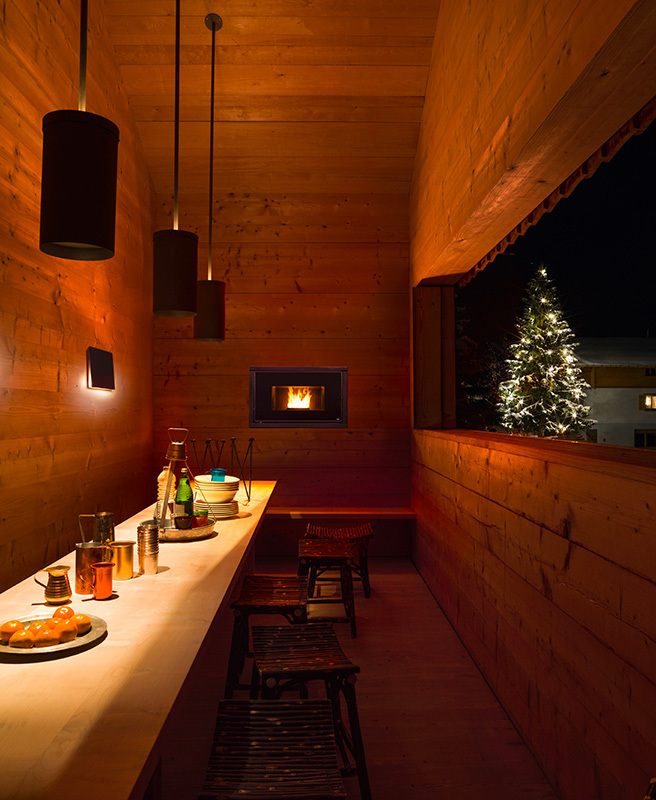 To create a beautiful Christmas atmosphere is simply: you have just to start fire in your fireplace. But what if you can combine the beauty with the practicality of an appliance that you can turn on and off by simply pressing a button on your remote control? This is exacly what is offered by MCZ pellet stoves and fireplaces. 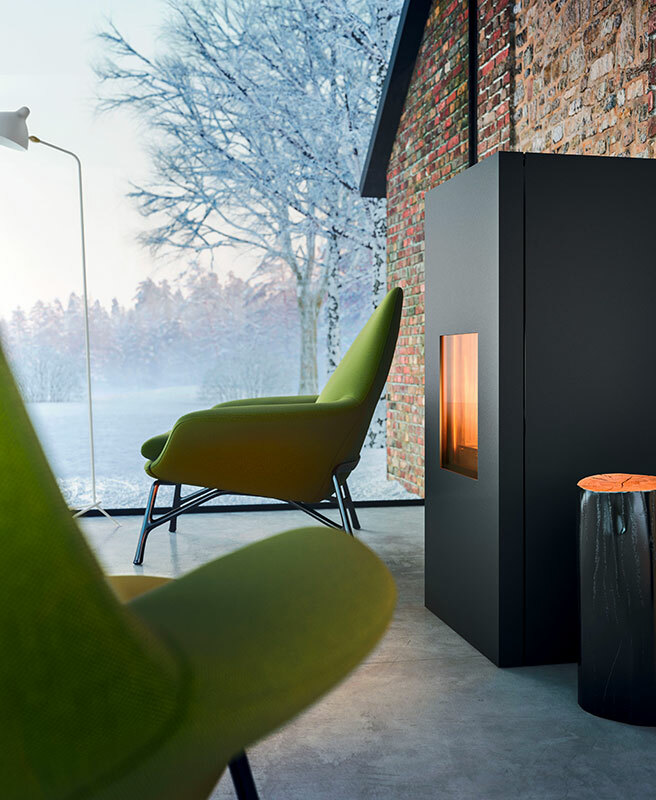 Thanks to a special care for aesthetics, carefully designed air inlets and the electronic combustion control, MCZ pellet products do not only offer all the benefits related to the convenience of using pellets, but also allow for a unique, beautiful flame. 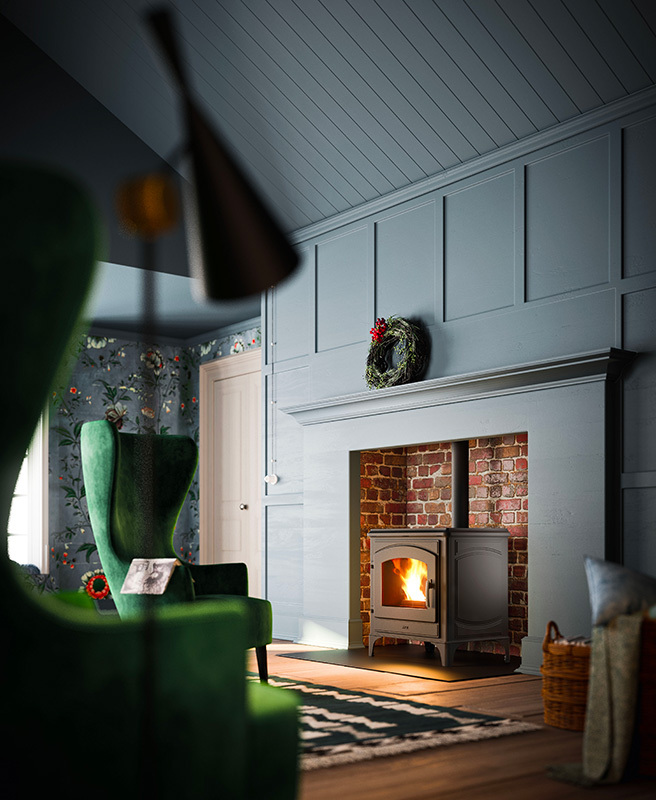 Indeed, the MCZ pellet range heats and lights up homes with the same charm of a wood-burning fire, remaining a very practical product that guarantees efficient and clean combustion. Pellet technology is combined with an elegant retro look, inspired by wood products in traditional style. The flame, large and pleasant, also provides the aesthetic effect of a wood-burning fire. Thanks to its contained overall dimensions and to the presence of a top smoke outlet, this product is the perfect solution for optimising the living space. For example, it can be perfectly installed in an existing firebox, thus obtaining both a “British” touch and an effective heating solution. It is available in a natural cast iron finish or, as a more rustic alternative, in enamelled cast iron in green. 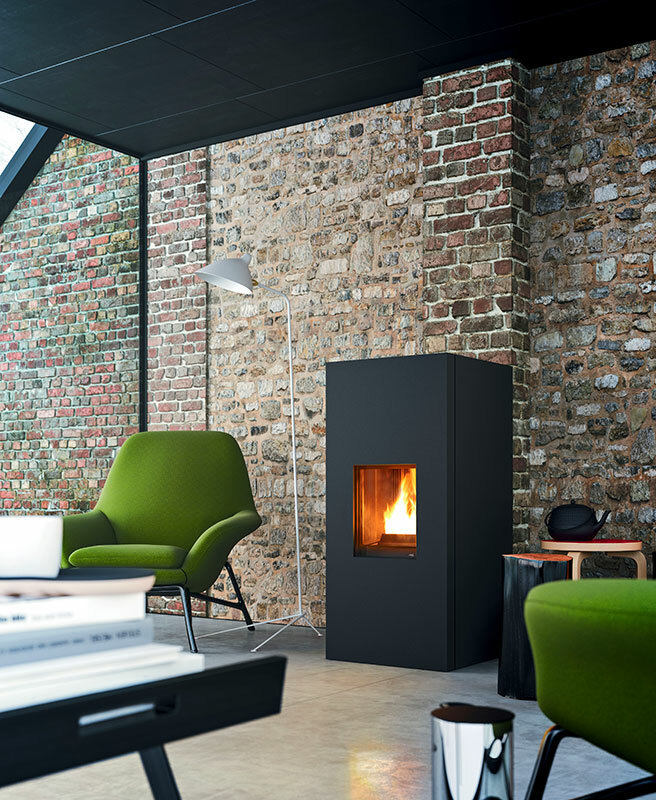 Pellet fireplace with a large view, a larger and even more attractive flame. 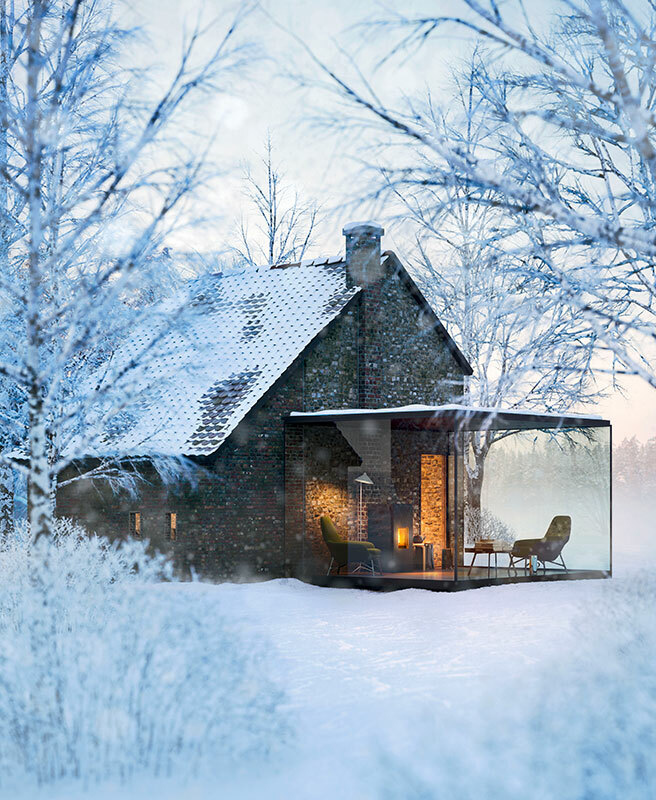 Can be combined with Comfort Air® to heat several rooms, even non-communicating ones. Black cast iron brazier and firebox. Combustion is managed automatically with Active+. Remote control with room thermostat as standard. This fireplace can be installed close to the floor. The No Air function allows you to disable the forced ventilation for maximum silence. 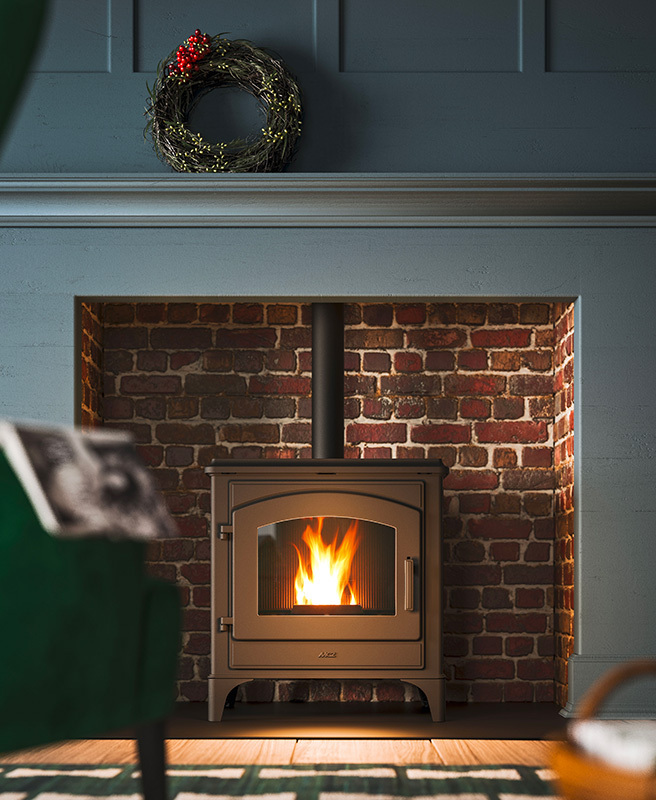 Pellet stove with rigorous and simple lines, made entirely of high thickness painted steel, top with satin-finish steel grille for hot air extraction and pellet loading. Thanks to a fully sealed structure, it works without stealing oxygen from the room in which it is installed and is therefore perfect for well-insulated and energy efficient homes.